Okay, this isn’t technically a helmet wearing shot, but they’re holding them… and that’s close enough for me. 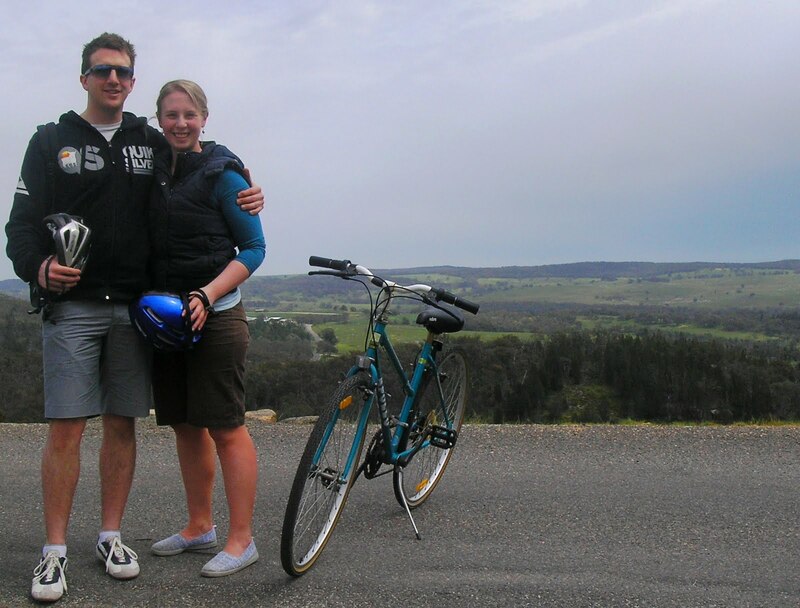 And I’ve been meaning spruik this ride, because these guys are smiling so widely because they’re doing a Pedal to Produce ride and I love this idea, rail trail bike rides that connect you to local producers, winemakers and orchards in regional Victoria. Check it out if you have time. Like when you’re doing getting your wheels anodised and wearing skinny jeans and being busy in the city, then you can go eat and ride and eat and ride and look happy like these people do.